Floating down Amsterdam’s canals is one of the most memorable ways to discover the city. 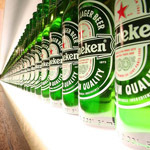 Find visitor information about the Heineken Experience in Amsterdam, housed in the former Heineken Brewery. Keukenhof also known as the Garden of Europe, is the world’s largest spring flower garden. 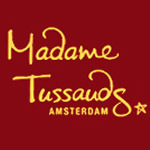 Step into the magical world of the stars at Madame Tussauds with was models of famous people. 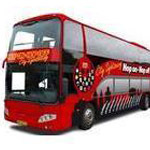 Discover all the great things to do and see in Amsterdam with the Hop On Hop Off City Sightseeing bus. 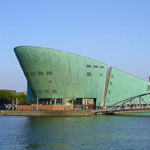 Take a voyage of discovery at NEMO Science Center, where children can playfully experience science and technology. 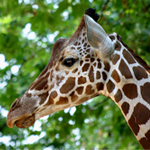 Artis Royal Zoo was the first zoo to be established in the Netherlands, and it’s located right in the centre of Amsterdam. 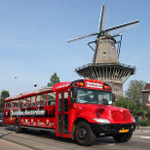 The Amsterdam Tourisbus is simple and attractive way of getting a general impression of the Old City centre. 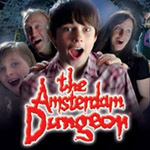 The 80-minute tour through the Amsterdam Dungeon takes you through 500 years of the darker side of Dutch history. 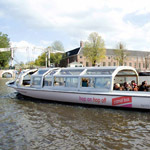 Canal Bus is an enjoyable and relaxed way of getting around the canals and goes along all Amsterdam’s top sights. We are visiting in September and are interested in going to Kinderdijk and Delft. We are staying in Amsterdam. Can you tell me how to get from Amsterdam to Kinderdijk, then to Delft and then back to Amsterdam? Thank you for your help. You can take a train to Rotterdam Central Station. Next to the Erasmusbrug (willemskade), you can take a ferry and get off at Ridderkerk (close to Kinderdijk). WHen you go back, take the train from Rotterdam to Delft (only 10 minutes?) and from there back to Amsterdam! Enjoy! My husband and I are travelling to Amsterdam for a few days. While we are there we will be traveling from the station nearest our hotel (Amsterdam Slotterdijk). We will probably be traveling on busses, metro, and trains while we are here. One day we will travel to see the Flower Auction and then on to the Keukenhof Gardens then back to our hotel. On another day we plan on traveling from our station near our hotel to the city of Sassenheim to see the flower parade and need to get off near the train station, then back to our hotel. And on another day we plan on going to see Zaanse Schans, and then maybe venture into the Waterland area to see a bit more thus filling up the day. My questions are: It looks like we need a transportation that will give us unlimited rides on the busses, metro, and trains. Can you tell me if there is such a thing?? We don’t really need any entrances to places, just the transportation. And where can I find info about the purchase of the transportation pass??? And if at all possible can you tell us the most direct way to travel to and from our station near our hotel, Amsterdam Slotterdijk, and the places we wish to go?? I want to thank you for any help you can give us!! I will visit Amsterdam in the end of March. My major point of visit is the Keukenhof Garden. I would like to know if it possible to stay more then 3 hours in Keukenhof garden. On web page I read that “5 hours (50 minutes single bus trip, 3 hours stay at Keukenhof)” is included in Holland pass ticket. So its mean max 3 hours in the garden. Im little dissapoint, because I wish stay there 5-6 hours just anjoy views, flowers etc. How is working check in/out in Keukenhof? It is possible to be there longer. If so, how to fix it. 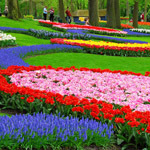 There are several options with the Amsterdam Holland Pass to visit the Keukenhof. Holland Pass offers a round-trip bus ticket and entrance ticket to Keukenhof with fast-track entry. By handing in your Gold (Tulip) ticket you can enter Keukenhof directly, so you don’t have to worry about queues at the park. If you go directly (so not with the special Keukenhof Express Bus trip from Amsterdam City Centre!) you can enjoy the Keukenhof as long as you want and you are not restricted to the maximum of 3 hours stay at Keukenhof Gardens. For transportation on your own you can exchange your windmill ticket for a roundtrip bus ticket to Keukenhof Gardens from Schiphol Airport. 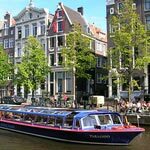 You can buy the Amsterdam Holland Pass online with special offers HERE! Uner Amsterdam Attractions, all the listings have the same text about the most famous museum. Thanks for letting us know. We fixed the problem!